Service-focused fleets use various systems to manage their appointments, routing and vehicles. Government fleets and public works departments have an added layer of the public wanting to know where their vehicles are and wanting to have issues resolved quickly. For both cases, a full-stack telematics solution provides data on vehicle health metrics, locations, driver messaging and third-party integrations to streamline operations. Local governments and service companies have been slowly migrating away from paper forms through the years. However, the paper version has sometimes become a digital form or spreadsheet which doesn’t eliminate the manual aspect of requests. Fleet managers and dispatchers often continue to use a call to confirm current locations. And vehicle maintenance may be scheduled based on a certain timeframe such as every month instead of being based on utilization (mileage, etc.). One city in Michigan was wrestling with these issues especially with their snow removal fleet. They wanted to reduce the number of manual processes and provide better visibility to residents. The city selected CalAmp’s GovOutlook™ to integrate into their systems. Read the case study, Improved Visibility and Efficiency of Public Works Services, to learn more – download here. A web-based AVL system integrated with an Esri solution offers real-time, actionable information. 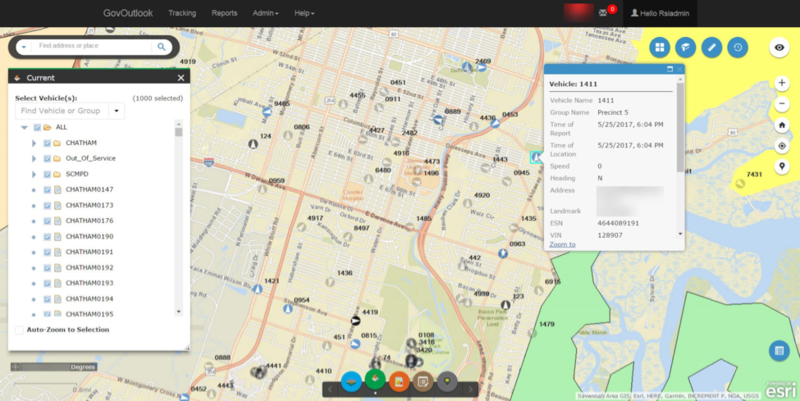 Dispatchers are able to locate specific vehicles or a group on a map display. This data is then able to be incorporated into a public-facing application. Increased productivity is also realized when the telematics solution communicates with third-party systems, such as work orders. Requests are logged and put into the workflow. The information also helps with fleet security and maintenance with access to real-time alerts ranging from the on-board diagnostics system to a panic button to unauthorized use. Vehicles are now able to notify managers when repairs are needed or unsafe driving is occurring. This proactive troubleshooting helps reduce fuel costs from idling and the extra wear-and-tear from aggressive use. The telematics solution empowers fleet managers, dispatchers and other staff to make adjustments as situations occur. 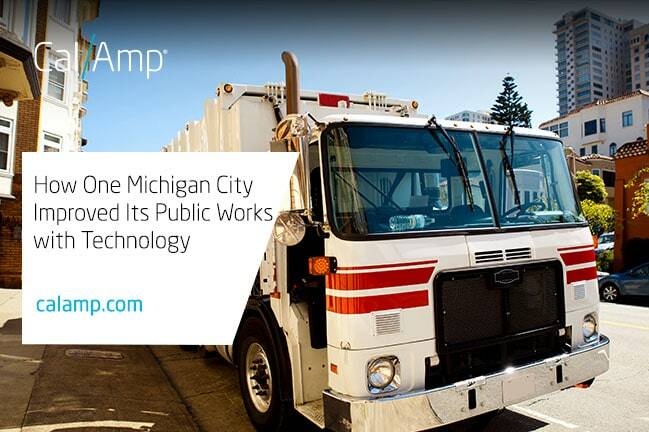 Learn how the City of Ann Arbor harnessed the power of GovOutlook in our case study here. If you would like to learn more about GovOutlook and our other fleet solutions, please visit our page here. We are also an approved National Joint Powers Alliance® (NJPA) vendor under contract number 022217-CAW.